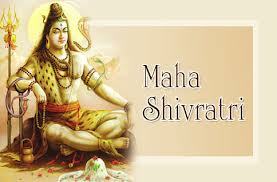 Maha Shivaratri, is the biggest festival of Lord Shiva which is celebrated all across the country. 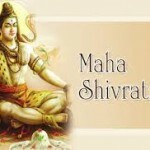 Maha Shivaratri this year is celebrated on Friday, 1st March, 2041. Maha Shivaratri is to be observed on fourteenth day of the wanning phase of the moon or Chaturdasi of Krishna Paksha of Magha Masam of the Telugu Calendar. 1)Getting up early in the morning taking a head bath. 2)Fasting the whole day without even drinking water. 3)Performing of Abhishekam to Lord Shiva, if possible Ekadasa Rudra Abhishekam or else atleast Eka Rudra Abhishekam. 4)Worshipping Lord Shiva with Bilva Dala or Bel leaves. 5)Fruits are to be offered as Naivedyam and only those are to be eaten. 6)Staying awake the whole night reciting Shiva Stutis or Slokas or Names. 7)Abhishekam if performed during the Lingodbhava Kalam i.e 00:00 hrs it is very good. 8)Should sleep only on the next day in the night.